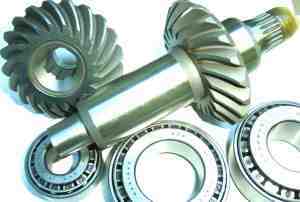 Different size engines require different gear ratios in the drive. The manufacturer changes these ratios with different gear sets. The ratio change is in the upper housing. All 1973 - 1985 upper housings are identical* except for the tooth count on the gears and left or right steering worm. Below is a chart showing the tooth count for the different size engines used with sterndrives. All lower housing ratios are either 2.0:1 for the four-cylinder engines or 1.83:1 for the six,, and eight-cylinder engines. 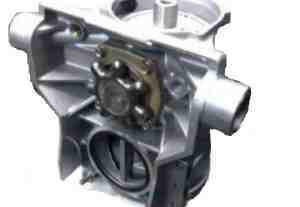 *The original driven gears in 1970 - 1974 upper housings are not machined for a centering cone. All 1975 and newer driven gears and all GLM replacement driven gears are machine for a centering cone. A new drive shaft with shorter splines and a centering cone must be installed when replacing the original (non-centering cone) driven gear.